A trip into the wilderness is always a good idea. To prepare, you’ve done your research and loaded your car with necessities. You’re finally ready to set off for some much deserved R&R. But, as much as you’re dying to hit the road, take a moment to reflect — have you covered all of your bases? Even if your intended stay in the wilderness is brief, don’t underestimate the essential prep work it takes to execute a safe and smart adventure. There are many variables to account for before you get going, and you’ll need to be thoroughly prepared for the outdoors before you get there. This is especially true when heading out alone. In the beginning, the preparations might seem daunting — what with all the permits and a seemingly endless list of supplies to pack — but it doesn’t have to be. In the spirit of getting people outside and enjoying their time in the great outdoors (both safely and successfully), I’ve compiled some tips for setting off into the wilderness solo. John Muir once wrote: “Only by going alone in silence… can one truly get into the heart of the wilderness.” Let’s test his theory, shall we? One of the most important factors to consider before taking off into the wilderness is familiarizing yourself with the rules and regulations of the area you intend to visit (which includes obtaining the proper permits). Depending on where you go, these rules may vary, making it even more important to do your research ahead of time. Additionally, you will want to check on the conditions of the park or wilderness area you plan to visit. Trails and roads often close due to extreme weather conditions or increased wildlife activity that will disrupt access to certain areas. For these reasons, the National Park Service website is an excellent resource to refer to prior to your trip, but a simple Google search will often yield all of the information you need. There are also a lot of small things to consider when planning your outdoor adventure. 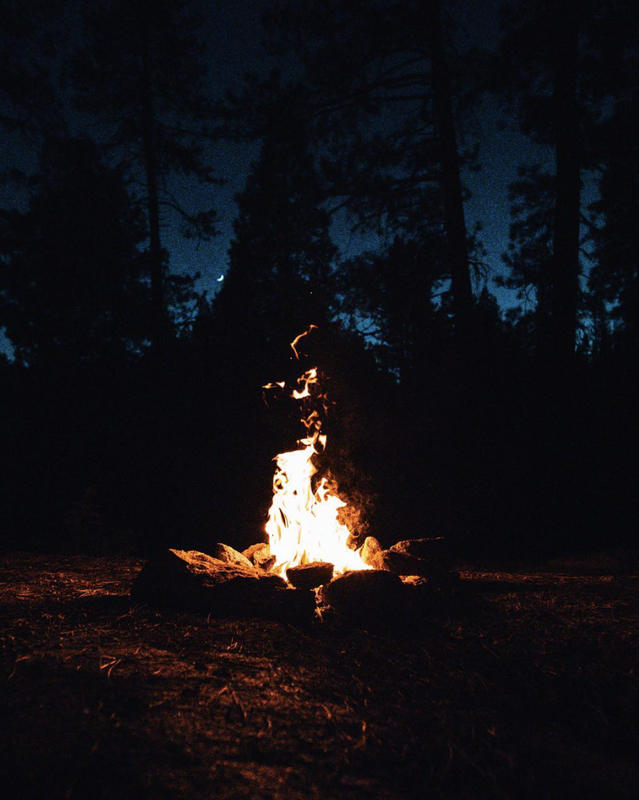 For instance, it’s a common requirement to camp at least 100 feet from any water source, stay specific distances from wildlife, and pack out all waste products (yes, even used toilet paper). There are also specific fire regulations you must abide by when in the backcountry, and often times, fires aren’t even permitted at all. Ignoring these protocols can lead to hefty fines, so be sure that you understand what’s required — and expected — of you. It’s easy to underestimate the power and wildness of the outdoors. This is true of both the avid outdoors-person and the first-time trekker. The reason for this is that, more often than not, things go according to plan. But it’s important to always be prepared and to bring the equipment necessary to ensure you are safe, especially for the odd time when things don’t go as planned. Simple items to have in your pack are rope, a physical map of the area, a first aid kit, matches, a knife, and your chosen method to purify water. 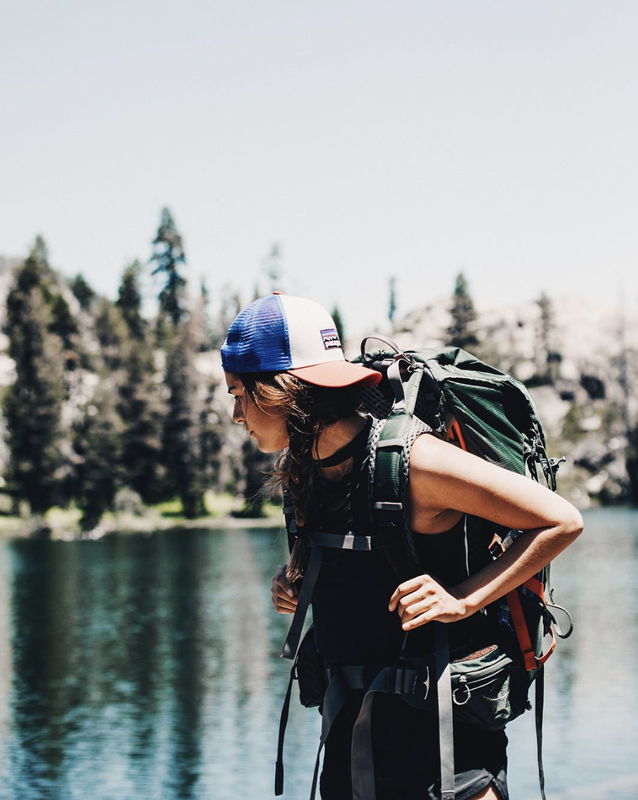 If you need a bit more guidance, REI’s the Ten Essentials list for backpacking is an invaluable resource worth familiarizing yourself with. In addition to packing these essential items, take some time to really think about where you’re heading. Is it bear country? If so, you should carry bear spray. If you’re staying overnight and have food, you will also need a bear canister to keep your food away from the curious and hungry creatures. This is something that can be purchased online, at an outdoor department store such as REI, or you often find them available for rent at ranger stations. In the same vein, know how to respond should you come across a grizzly bear, brown bear, or mountain lion. Researching this is going to be especially important if you’re traveling alone, as you will be much more vulnerable than if you were to be traveling in a group. To get started on your research, turn to the National Park Service website. Something else you will want to consider are the types of conditions to expect while in the wilderness. Monitor the weather before taking off and pack your gear accordingly. This means packing appropriate clothing and sleeping gear. You should always be cognizant of the weight on your back and pack as lightly as possible — after all, who wants to be weighed down by a ton of things they don’t need. That said, don’t compromise your safety (or comfort) by not packing your insulated jacket just to save a few ounces. It’s better to have sore shoulders and carry a heavier pack than to get drenched by an unexpected rain shower. Lastly, and perhaps one of the more important points, is to let family and/or friends know where you will be and exactly how long you intend to be there. If you take off for a weekend trip without letting anyone know, it would be exceptionally difficult for someone to ascertain your location if they need to search for you. Should you get lost or have some other unfortunate mishap befall you, your odds of receiving assistance are much higher if you’ve told people where you plan to be. All it takes is a simple text or call, so don’t let this be something you forget to do. This point goes hand-in-hand with completely and thoroughly filling out on-the-trail permits. Though you won’t always find them at the trailhead, some trails and wilderness areas will have slips or forms to fill out wherein you list who all is in your party, whether or not you are bringing livestock, the region you intend to visit or camp in, and the duration of your stay. Rangers and other park employees will review this information, and it’s a great way for them to confirm where you might be if you don’t return in the time you said you would. If you make an honest effort to familiarize yourself with the area, pack thoughtfully, and let friends and/or family know where you will be, then you are well on your way to safely and happily enjoying your time in the wilderness. Whether this trip has been planned for a year, or it was a bit of a spontaneous adventure, you may find yourself battling something beyond the elements as you head up the trail — loneliness. Though this won’t apply to everyone, venturing into the wilderness alone can often take some getting used to. The quiet, the solitude, and the open expanses are all elements of the trip that cause initial intrigue, but can also give way to melancholy. In those moments, I recommend embracing that feeling. It may not be particularly pleasant at the time, but it will subside, even if it takes a few more trips to get used to it. Don’t give up on experiencing the outdoors on your own because you experience some bumps while starting out. With time, you will ease into it, and it will become one of the most peaceful and beautiful feelings you will have the privilege of experiencing. One way to aid this is to bring along a book. When stopping for a snack, relaxing beside a lake, or lounging around the campfire in the evening, pull out your literary companion and indulge in a few pages. It will help you feel that bit of connection you’re missing. Additionally, it’s important that you know your limits. Start small. There is no one to impress but yourself. You don’t need to accomplish some arduous 50-mile journey the first time you venture into the backcountry. Know that there is nothing wrong with going at your pace and taking on new challenges on your own time. After all, isn’t that what drew you to the outdoors in the first place? While the world is densely populated — filled with urban sprawls, noise, and distractions — there are still pockets of pristine wilderness all around us. Sometimes, in order to declutter our minds and realign our values and aspirations, we must escape from the above. Now that you’re equipped with more information, go on and get out there! The mountains are calling. 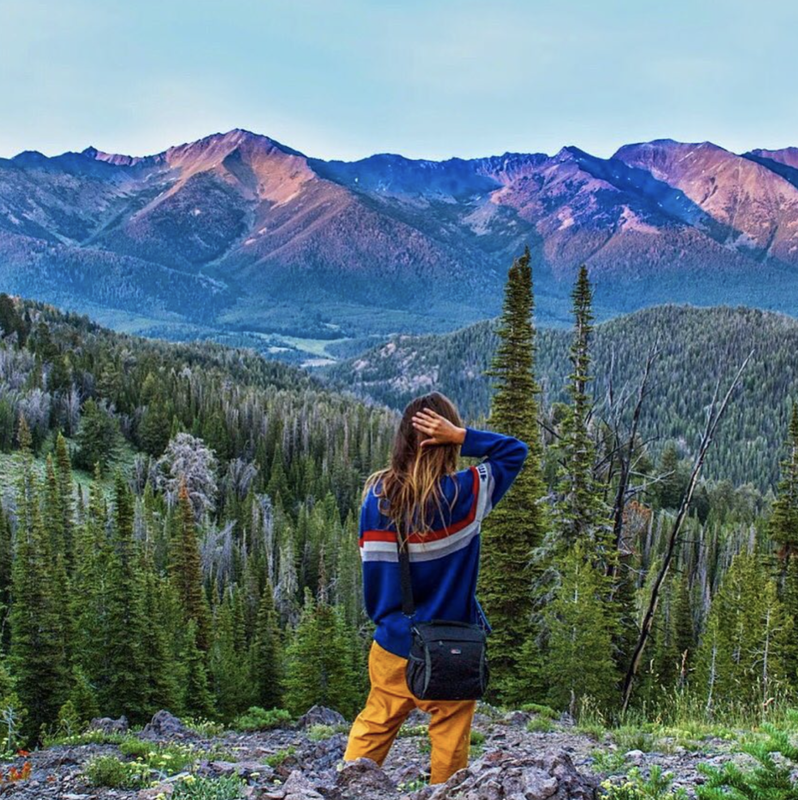 Montana: An Average Land-Locked State or Paradise?